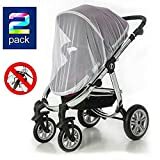 PREMIUM & ECO-FRIENDLY MATERIAL - Made of 100% polyester with breathable fabric, ultralight, strethchy and durable, no deet or any other chemical repellents, no worry to babies' safety anymore. 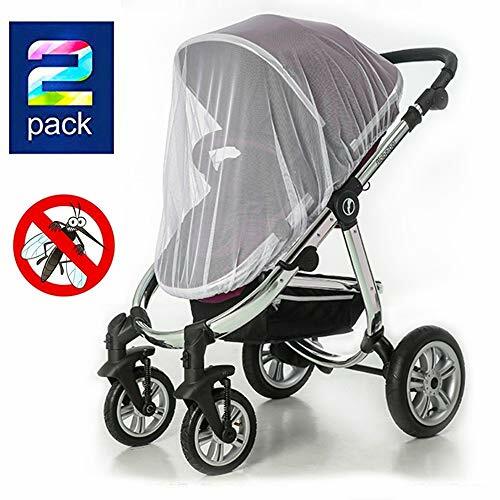 UNIVERSAL COMPATIBILITY - The infant insect net comes in a perfect diameter of 59 inch that fit for most baby' s stroller, carrier, car seat, bassinets & playpens, cradles and Cribs. COMPLETE CHILD PROTECTION - Will provide protecting against nasty bugs, bees, mosquitos & flying insects. Keep your baby safe and enjoy outdoor times. HIGH DENSITY MESH - The baby mosquito net with precision perforated and ventilation holes for a breathable mesh that allowing great airflow in for babies and toddlers. 100% GUARANTEE - We offer a 30 day money back guarantee.If you are not satisfied for any reason you can return the Mosquito Net for a full refund.